The Christmas spirit expands even more than imaginable with nearly 150 unique trees of the season being exhibited. 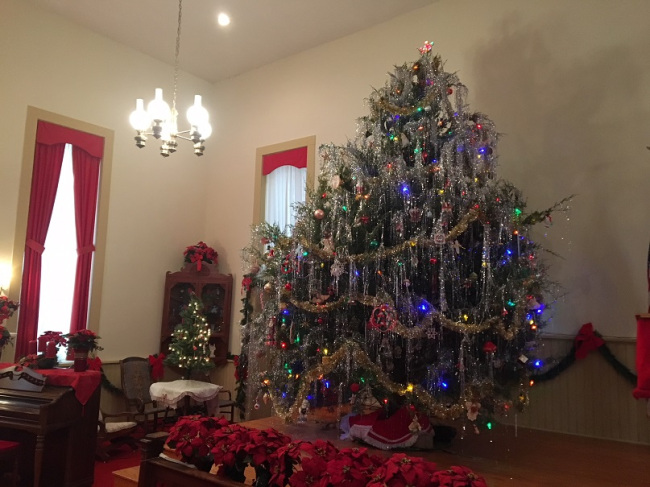 “We’re really proud of the large display of beautiful Christmas trees at the Territorial Capital Museum in Lecompton,” exclaimed Paul Bahnmaier, president of the Lecompton Historical Society. “It’s the most unique Christmas tree presentation in the Midwest and provides an opportunity for visitors to relive the past,” Bahnmaier insisted. The trees are decorated with Victorian, antique, collectible and themed ornaments and the 100-year-old feather trees are a special highlight. 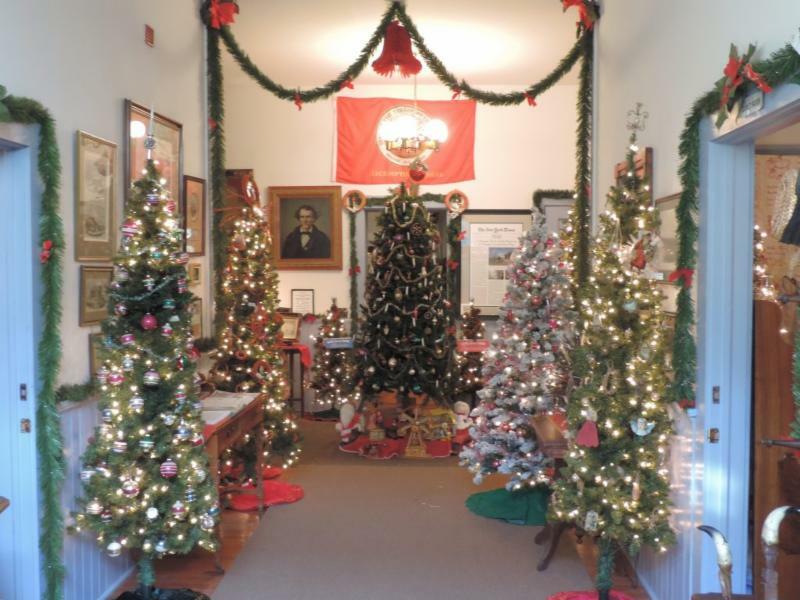 Trees are now on display in the museum at 640 E. Woodson Avenue in Lecompton until January 2. For the special holiday tree display, the museum is open Monday through Saturday from 10 to 4, and Sunday 1 to 5. The trees add even a more specialness to the annual traditional Christmas Vespers which will be this Sunday afternoon, Dec. 3, at 2 o’clock. “A big, elaborately decorated Christmas tree is on the museum’s second-floor stage where the inspirational afternoon program will be presented. We sure welcome everyone to come,” Bahnmaier invited. Promotions for the unique Christmas tree display have been airing on Country 106.9 with additional also features also on WibwNewsNow.com and the Kansas Ag Network. 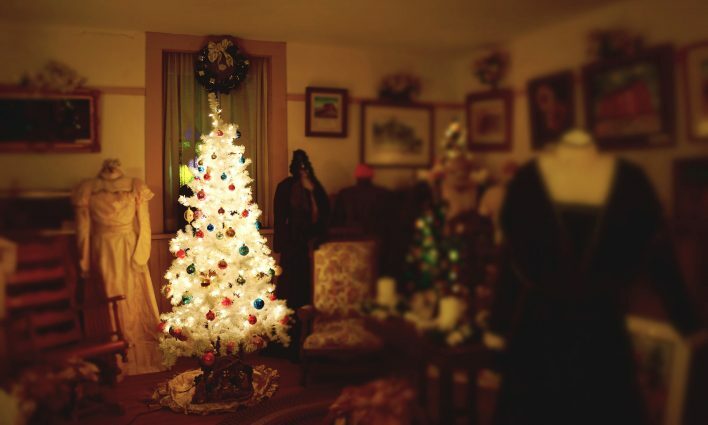 A few decorated trees have traditionally been displayed at the museum for some time. “Then, three years ago, the historical society decided to make the trees the focus of the museum during the holidays,”Bahnmaier reflected. About 25 volunteers helped put up the trees on display. “I think it’s the best display of antique Victorian decorations and collectible ornaments anywhere,” Bahnmaier said. The family of A.K. Winter donated one of the feather trees when he died in 2014 at 90 years of age. “He brought it over from Germany, but he didn’t know how old it was,” Bahnmaier said. 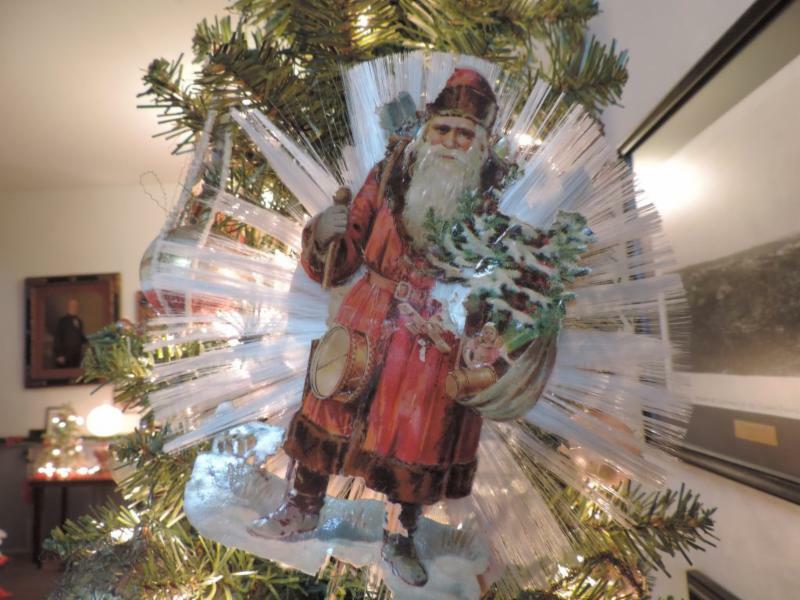 The collection of antique ornaments started through donations from historical society members. It has continued to grow as more visitors view the annual display. “We have people who return every year to see what’s new and bring their friends,” he said. A candy cane tree is particularly popular with children on school tours who receive a piece of the candy. A University of Kansas tree with Jayhawk ornaments is beside a Kansas State University tree with Wildcats hanging from its branches. Yet another tree is adorned with owl ornaments, the mascot of the now-closed Lecompton High School. Information is available by calling the Territorial Capital Museum 785-887-6148, on Facebook and at www.lecomptonkansas.com.